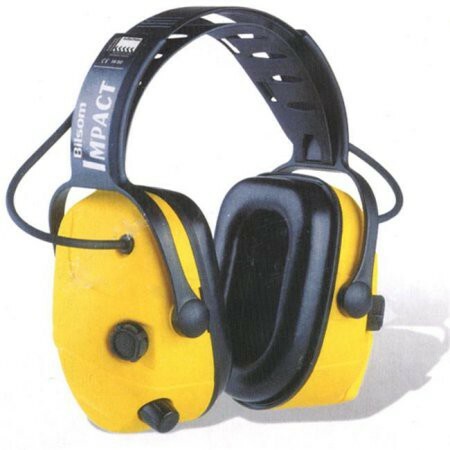 The SPERIAN Impact 707 Electronic Over-the-Head Earmuffs will amplify sounds and take out background noise. The headphones reduce noise by 23dB and the earmuff is for people with hearing loss and in noisy environments. The also have a shut-off and AUX signal input.